SOLD! FOR SALE IS MY 1968 CENTURY RESORTER (fiberglass) with the original Chrysler 440 engine and transmission. This is the larger, more spacious 19 foot long Resorter, not the 17. It runs perfectly and is in good condition. My goal was to keep it 100% original and eventually get it into show condition. It has a light tan exterior (original), burgundy upholstery and black accents. 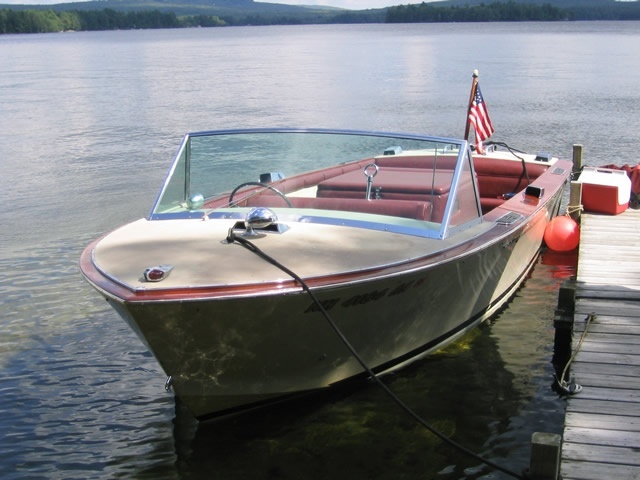 It was previously owned by a master marine mechanic up in Lakeport, NH. He professionally rebuilt the engine and installed 2 new oak stringers that support the engine. Mechanically the boat is in excellent condition. Since I’ve owned it I installed new flooring and interior sideboards. Both jobs were done meticulously with Century stain, A&A factory approved upholstery in correct colors, marine plywood, and A&A rubber flooring. Again, my goal was to restore it original show quality. Still left to do is the dashboard upholstery (included), seat upholstery and perhaps new mahogany side rails. The gelcoat and chrome is original and in good shape, but not show quality. All gauges and steering wheel are original and in good condition. 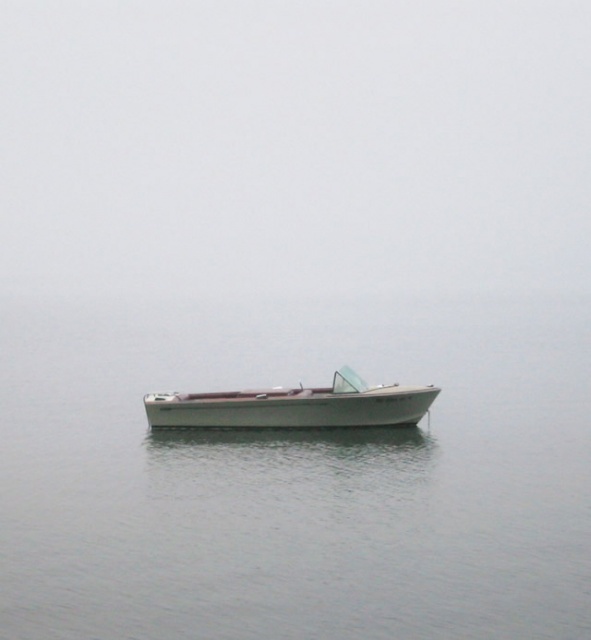 If you want a classic boat that runs perfectly and requires almost no maintenance (unlike wood) drop it in the lake and enjoy. 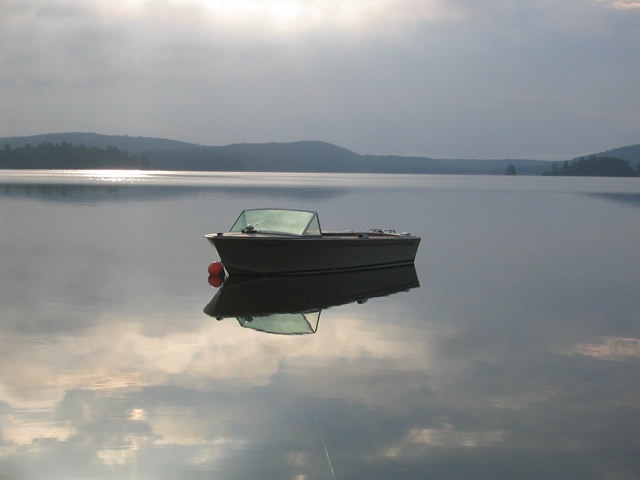 If you want a boat to turn into show condition during the winter this is a perfect start. Comes with galvanized tandem wheel trailer in good condition (may need new tires if you are hauling the boat far away). 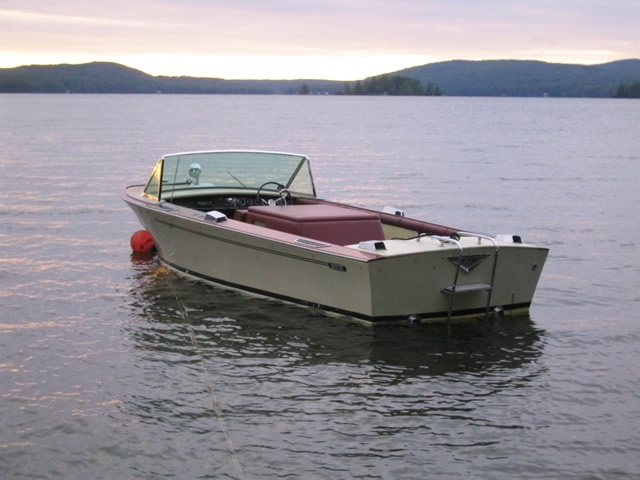 As you probably know, this is a rare and classic boat built solidly for skiing or cruising on the lakes. I am only selling because we moved to St. Croix, USVI. It took me 3 years to find this particular boat. I am meticulous and all work has been researched and done as close to factory as possible. Once fully restored it should be worth about $12 -14,000. Sale price is $8,000 for a quick sale (sorry, lower offers or trades not accepted). Trailer, custom burgundy cover, extra prop, detailed receipts and misc. items all included. Located in Wolfeboro, NH. For details contact the owner at eric@cruzana.com or call (908) 548-3001. 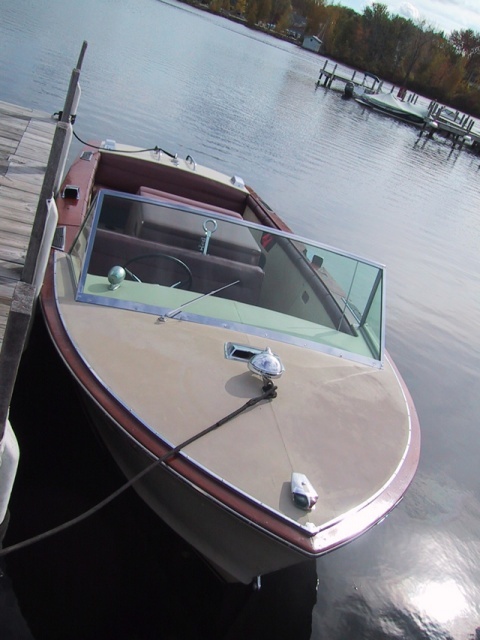 To see this boat in person contact Phil Spencer at Lakes Region Restorations by calling (603) 651-9147 or (603) 569-5038. 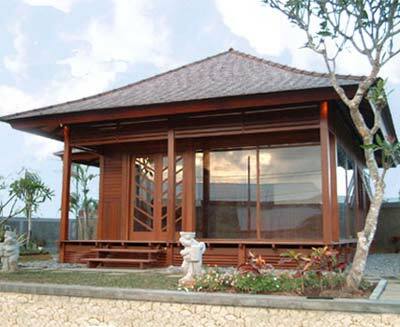 If you’re like me, owning a small bungalow in true Bali style would be a dream come true. 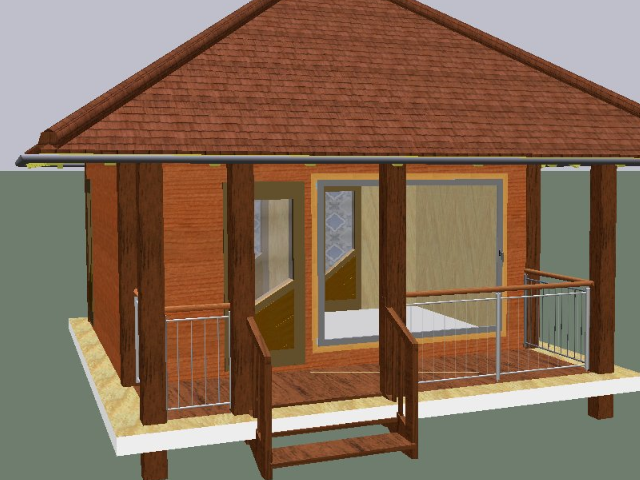 Got a small piece of land for a tropical hideaway? 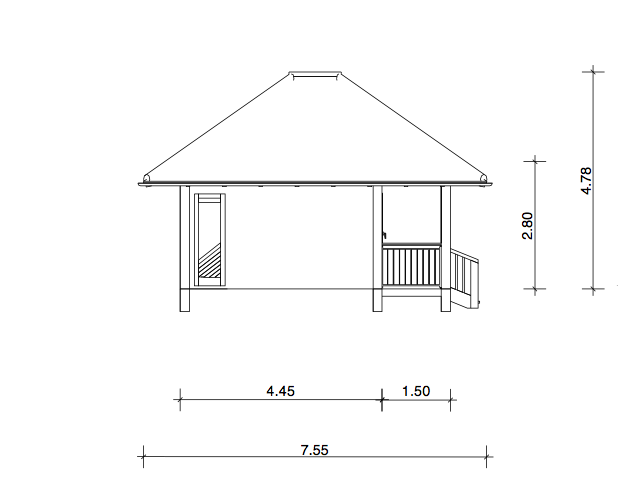 Need a creative outbuilding for an art studio? Looking for a private home office? Maybe a tropical retreat for special visitors? 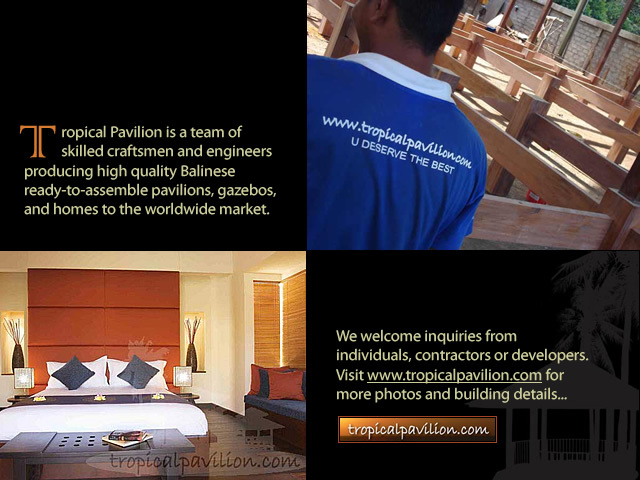 Finally a company called Tropical Pavilion has created just what you need… a pre-manufactured ready to assemble tropical pavilion made from beautiful hardwood. Everything from floor, doors, windows, woven rattan ceiling, right on up to the pre-assembled wood shingle roof comes shipped to your door in one big container. 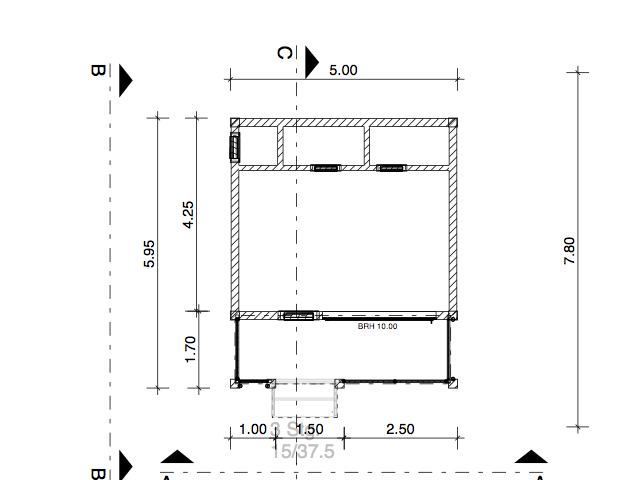 Call up your buddies or hire a carpenter to assemble (10 days is the usual assembly time). Before you know it you’re ready to sip a cool drink from your very own pavilion. 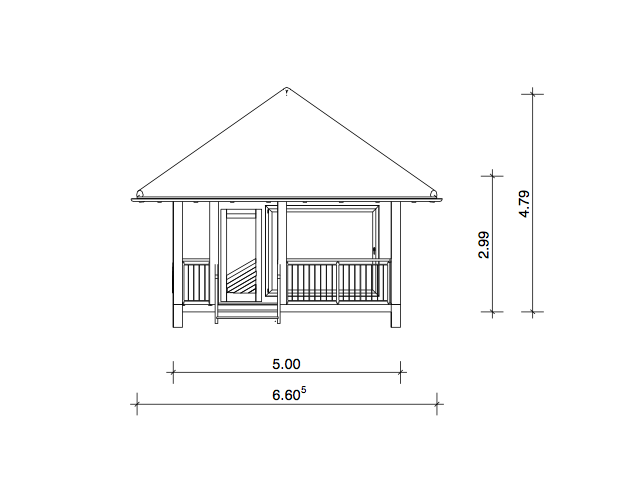 Here is one definition I like… PAVILION [puh-vil-yuhn]: Pavilion may refer to a free-standing structure sited a short distance from a main residence, whose architecture makes it an object of pleasure. Large or small, there is usually a connection with relaxation and pleasure in its intended use. 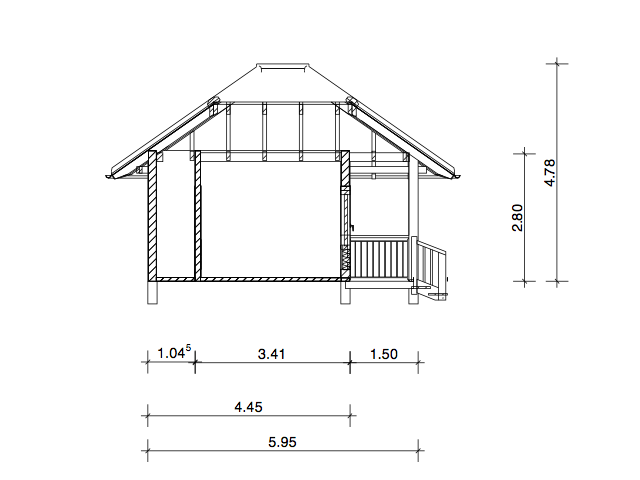 Perhaps the best part of this story is the price… my favorite pavilion (Model PH16) is under $29,000 for the entire building. Shipping is extra, from Bali to USA is roughly $3,000. 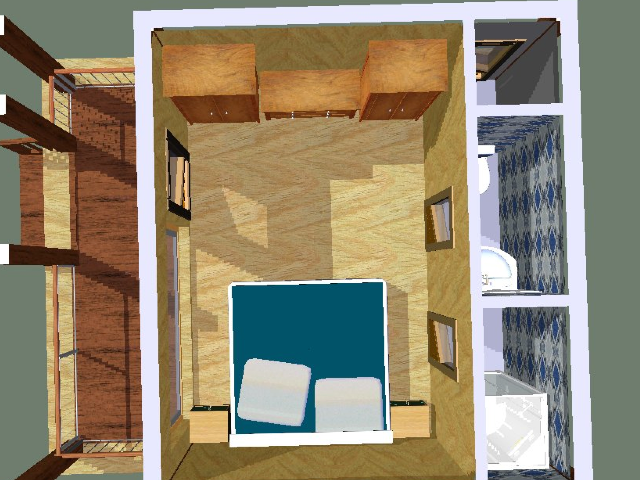 Lighting and furnishings are not included. 5mm thick Ironwood shingles are overlapped ensuring a lifespan of up to 30 years.